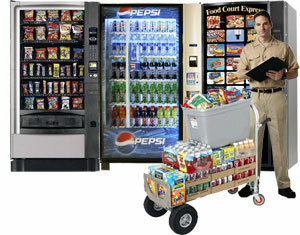 Kansas City Vending Service is a website ran by a leading vending marketing company that works with 100's of independent vending companies all around the nation. We are based in Kansas City and have over 20 years experience in all facets of the vending and office coffee business. You can talk with us about your vending and office coffee requirements and then we will recommend a vending company in your area that would be a good fit. If you are a smaller customer say less than 50 employees one of the bigger independent vending companies probably will not be interested in servicing your account so you will need to have a smaller vending company or office coffee company contact you. If you are a large company with hundreds of employees then you want to make sure you get aligned with a leading innovative vending company that can handle your type of situation. Kansas City Vending Service has relationships with vending and office coffee companies both large and small and will make help you make a decision based on your needs. If you are interested in a new vending service or need advise on what would be a good fit for your account please do not hesitate to call for a no obligation discussion around your vending and office coffee needs. Contact Us.